Crowns do not strengthen teeth, but crowns can improve the prognosis of teeth. Typically dentists prescribe a crown for teeth that are danger of fracturing. Examples include back teeth that have had root canal therapy, teeth with large old fillings that require replacement, teeth with fillings that are wider than requires to maintain the tooth strength, teeth with new cavities that are too large for a filling. Crowns improve tooth prognosis by preventing catastrophic failures that lead to tooth loss. All other situations, including improving the esthetics of teeth, or fixing chipping front teeth are better corrected with conservative bonded procedures like porcelain veneers. It is a fallacy to thing that crowns are stronger than veneers.This is simply not the case.Crowns can have properties that make them more prone to chipping than porcelain veneers, and it completely depends on the fabrication design and function of the crown or veneer.Material selection and fabrication techniques effect the strength of the crown or veneer more than the preparation design and its mode of retention.Choosing a crown, because it is stronger, is an improper risk management protocol often derived from misconceptions regarding how the thickness of a material influences its strength.It is best to consult with a Smile Stylist regarding whether a crown, veneer or something in between is best for your tooth. Crowns can be done conservatively! 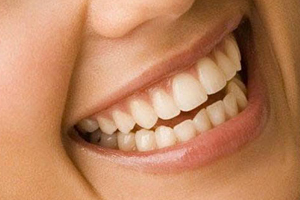 With todays materials, crowns can be prepared similarly to veneers, kept thin and in enamel. A modern crown will help maintain the strength of a tooth, while simultaneously improving its prognosis. These new materials are strong enough to be kept to thin layers utilizing bonding protocol with adhesive technology. Crowns can be made by ceramists out of the exact same materials as porcelain veneers! If you need a crown, why not get one that looks like a tooth? Can a partial coverage crown, like an Only, improve the prognosis of the tooth? Are you getting a traditional crown, or a conservative bonded all ceramic crown utilizing adhesive technology? Find a Smile Stylist to do the most conservative and aesthetic technology for your teeth and smile.